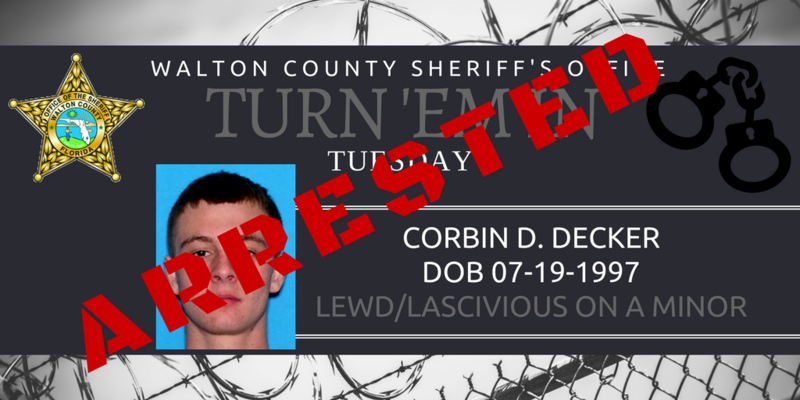 Following our Turn ’em in Tuesday post Corbin Decker, 19, called Walton County Sheriff’s Office to turn himself in. 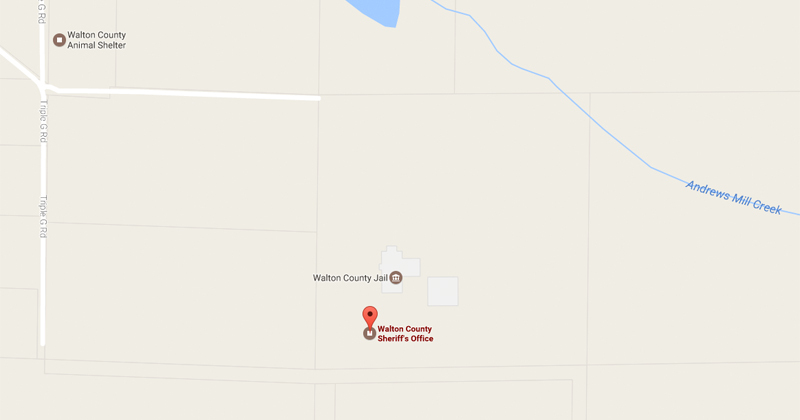 He was booked into the Walton County Jail Wednesday February 1st on charges of lewd and lascivious on a minor between the age of 12 and 15 and giving false information to receive a refund. If you have any information on the whereabouts of individuals with active warrants you are encouraged to contact the Walton County Sheriff’s Office at (850)-892-8111 or you can remain anonymous by calling Emerald Coast Crime Stoppers at (850) 863-TIPS. Submit a web tip at www.emeraldcoastcrimestoppers.com or send a mobile tip using the P3 Tips Mobile Application.